What Are See-Through Window Graphics? When you have work trucks with large rear windows or a venue with huge storefront windows, you usually want to cover these spots with your advertising information. Yet, many organizations still want to be able to see out of their windows, so they hesitate to add window signage. 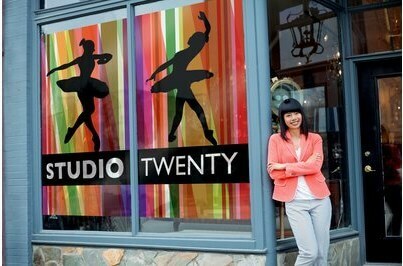 Luckily, Citrus Sign Studio offers an excellent solution: see-through window graphics in Orlando. This blog post will explore this helpful advertising tool. When you install perforated window graphics, you transform a plain window into effective marketing space that will make a big splash. When you showcase important information, such as ad copy, logos, and product photos, you open up a new realm of possibilities for branding and marketing. And, you get the most out of your store and vehicle windows. Your view is generally blocked when you choose standard vinyl window graphics, traditional posters, or paint. When featured on a car, the safety of your workers is jeopardized since they now have a larger blind spot. When featured on your storefront windows, these signage options will block natural light from coming in. Perforated vinyl signs, graphics, and posters take care of all of these problems. Many of our customers pick window perf for their retail establishment since it can hide clutter from remodeling or renovation work. It is also useful for blocking the view in and boosting your brand awareness when you are getting ready for your grand opening or are turning an area of your shop into storage space. We are proud to offer our customers one of the top vinyl perforated films in the industry: 8170-P40. 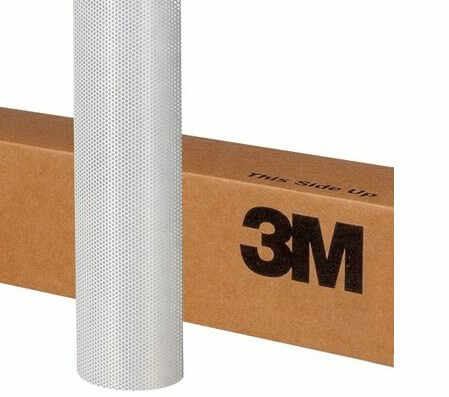 It is a distinguished member of the Scotchcal series of perforated window graphic films produced by 3M. 8170-P40 is made of 4 mil cast vinyl film, which is perfect for making high gloss, removable vehicle and architectural window graphics. Due to the 40 percent perforation pattern, you can see out just fine while providing full images to people on the outside. This window film would make a valuable addition to any long-term advertising campaign. Most perforated films on the market are made of calendered vinyl. This works fine for short-term purposes. However, if you want something that lasts, cast vinyl is your better option. Cast vinyl is also faster and easier for us to install and remove. And, when you combine 8170-P40 with an optically clear overlaminate, your graphics will remain sharp and vibrant for many years to come. 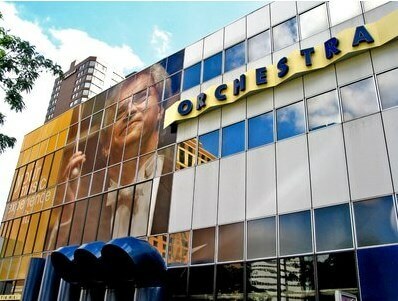 Our cutting edge wide format digital printer will render any images or photos you need on your perforated window vinyl. By precisely matching the colors, logo, and fonts you use on your other marketing materials, we keep your branding consistent. Plus, when you choose 8170-P40, you get the best warranty in the industry. Give Citrus Sign Studio a call if perforated vinyl is something you want for your vehicle or store. For a free consultation on perforated window graphics in Orlando, contact our friendly professionals today!